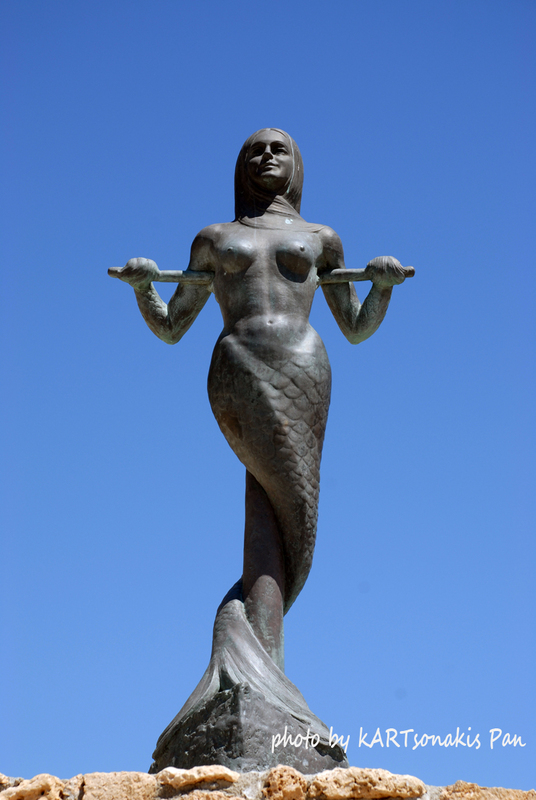 Mermaid Statue at Astros Beach. Photo by Kartsonakis Pan. 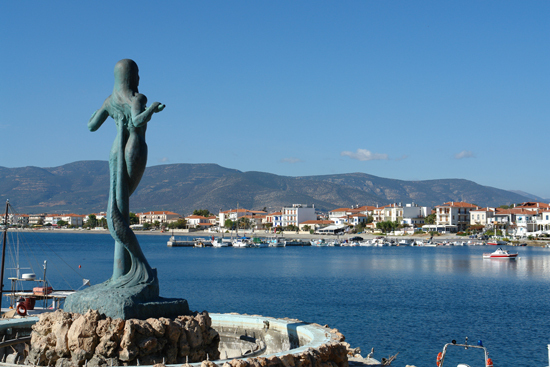 The statue looks out over the Argolic Gulf and the city of Paralio Astros and its harbor. 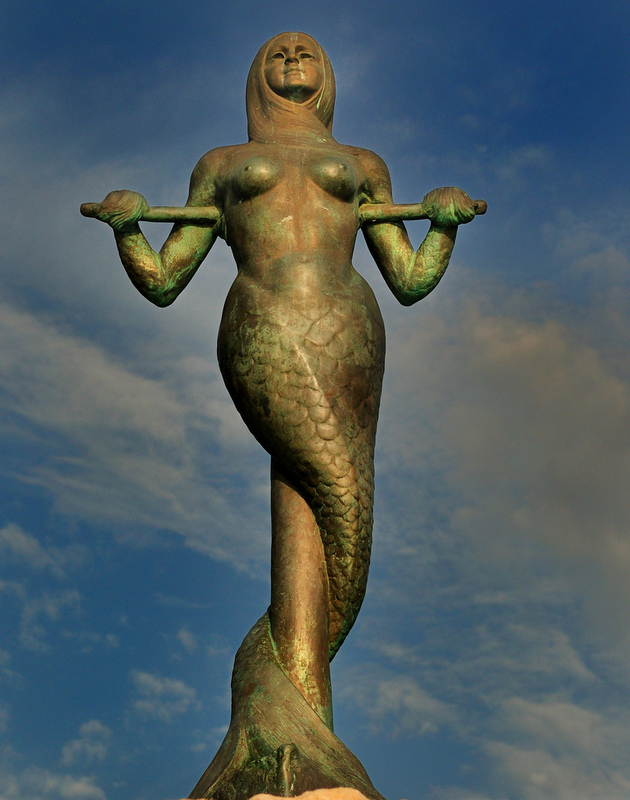 The statue is sometimes referred to as the Stheno mermaid, and may actually represent the serpent goddess Stheno, sister of Medusa in Greek mythology. 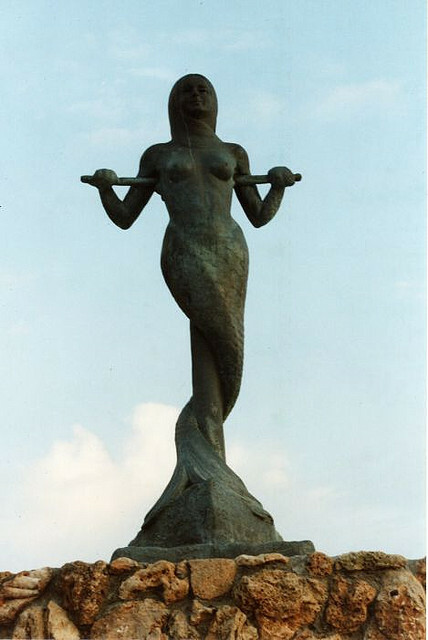 Astros Beach Mermaid Statue. 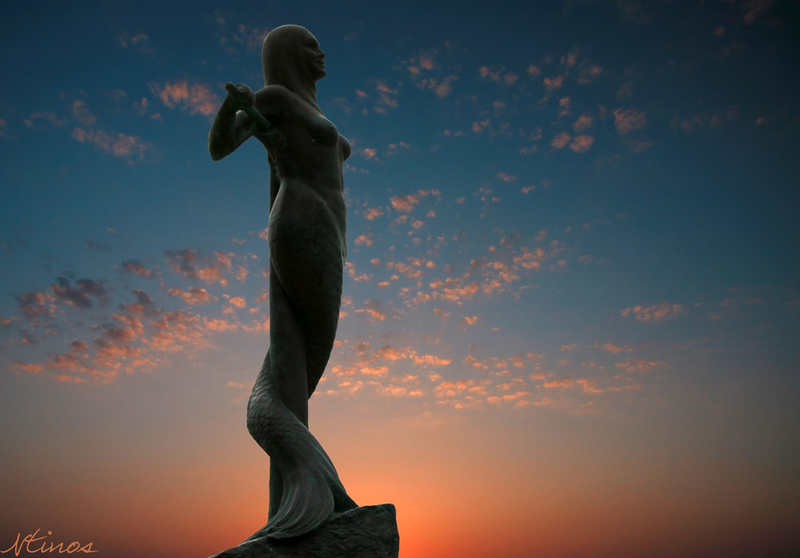 Photo by Bill Mavromitis. 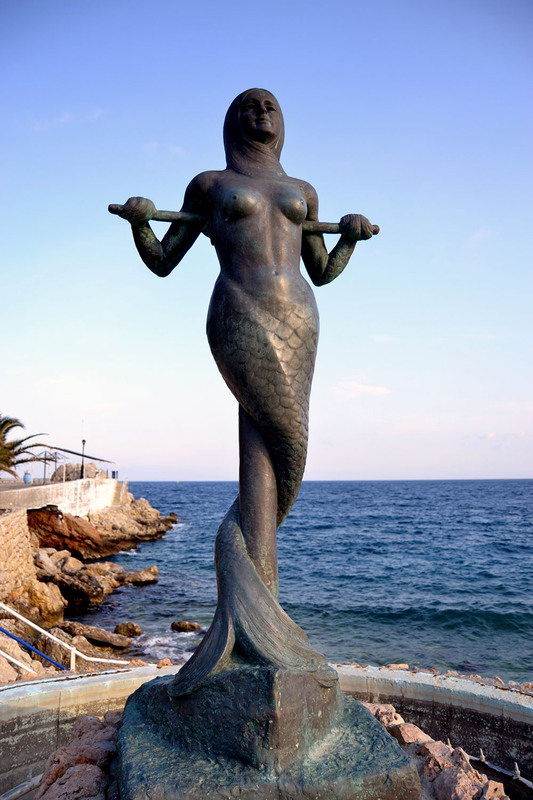 Other mermaid sculptures in Greece include those on Syros, Spetses, Thasos and Poros.